With this product, you earn 28 loyalty point(s). 28 point(s) = $ 1.68. A rich material worked in an aesthetic design speaks for itself. 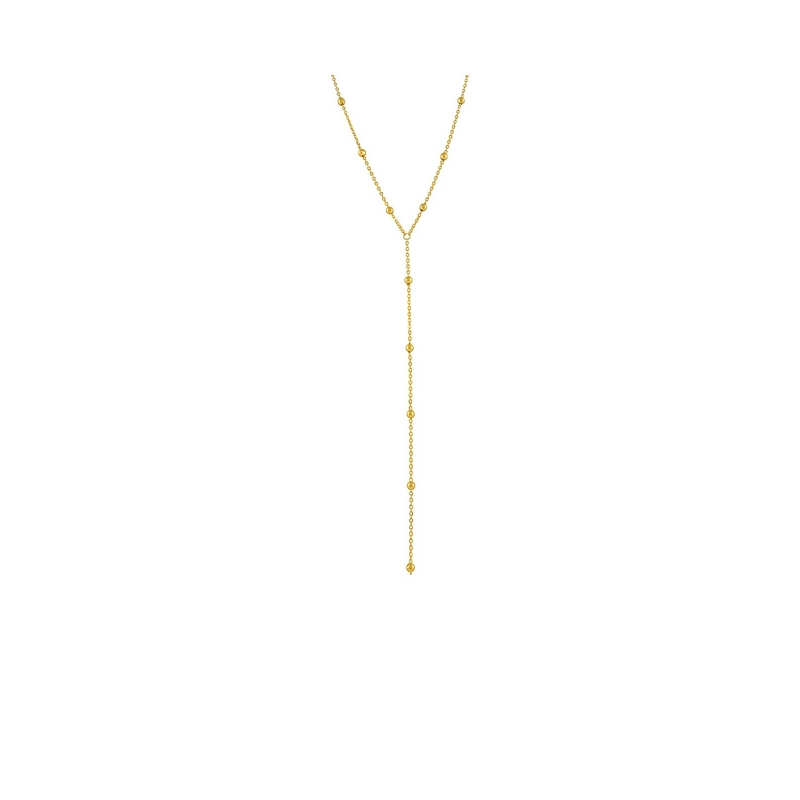 You don’t need a loud statement necklace to make an impact; get your fashion fix with a versatile, lean lariat Y-necklace, enough to jazz up a dress or jeans and a sweater. This piece is made with a 18K gold-filled or 925 sterling silver chain with well-spaced small round beads for textural interest. Gift box included. Perfect for gifting.